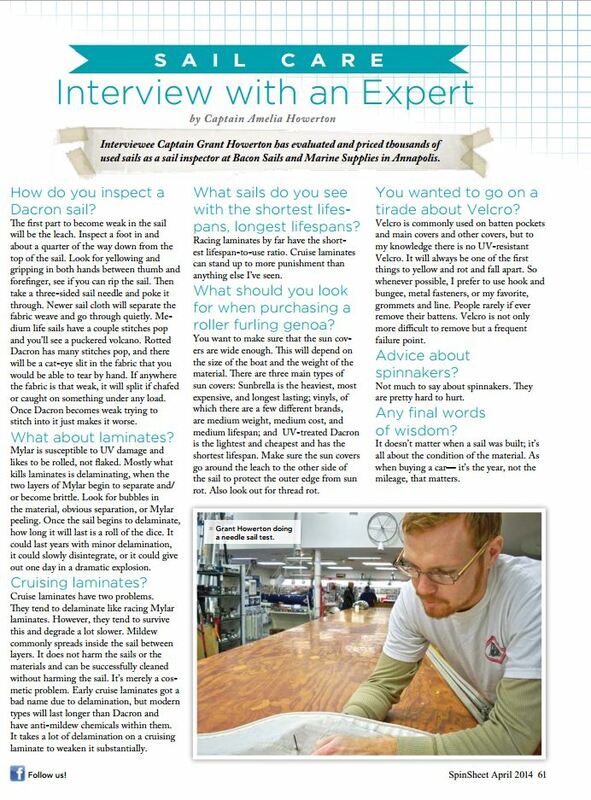 Amelia’s article, Sail Care, Interview with an Expert, appears in the April issue of SpinSheet magazine. Grant worked as a sail inspector for two years at Bacon Sails and Marine Supplies in Annapolis, MD. Here are some of his tips on Sail Care!! Click here to read the entire April 2014 issue of SpinSheet magazine! And, read our blog post on designing Albin Vega Velocir‘s Sail Design.